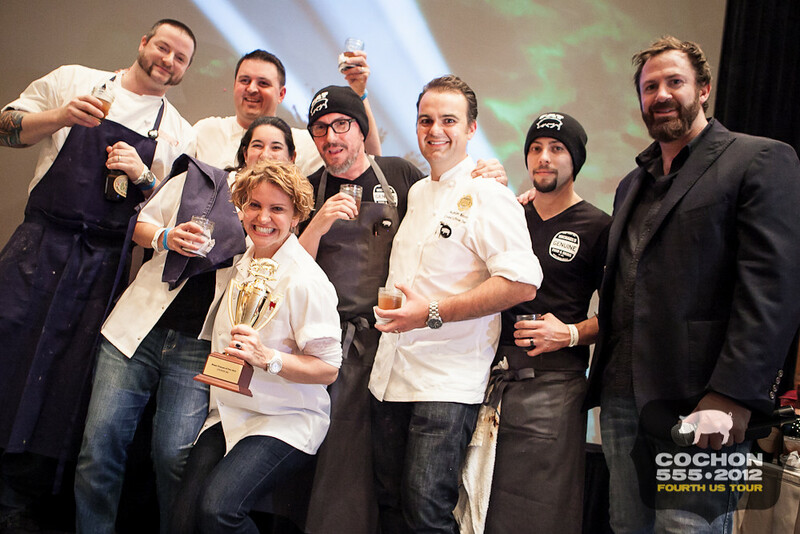 Cochon 555 is back!!! 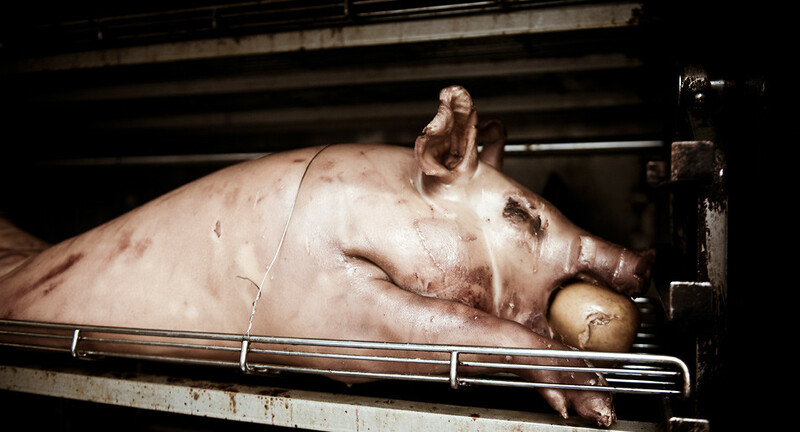 Five chefs, five pigs, five winemakers, five years! For those unfamiliar with Cochon 555, it was founded by Brady Lowe five years ago and is now a national 14 city traveling culinary competition. Brady started the event to promote sustainable farming of heritage breed pigs. 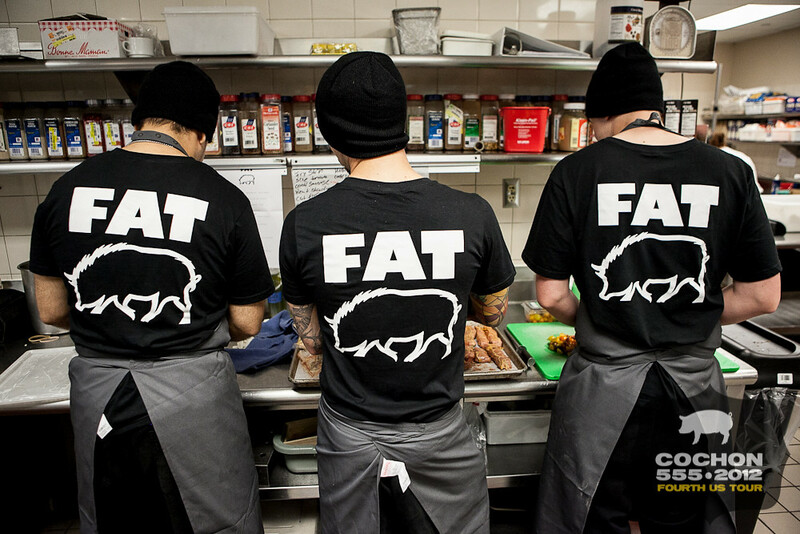 In each city, five local chefs compete head to head by preparing a menu from the entirety of one 200 pound family-raised heritage breed of pig, nose-to-tail. The winner is crowned the "Prince of Porc" and will compete at Grand Cochon at the Food & Wine Classic in Aspen on Sunday, June 16. I was honored to be a Judge last year and had a blast in the process. I was invited back this year and I can't wait. This is an awesome event that features a ton of outstanding pork along with great bourbon, wine and other great treats. Plus everyone in attendance gets to vote on best bite! This year they have added a new cocktail competition, Punch Kings featuring Breckenridge Bourbon and six local bartenders. Pork fans, food fans, bourbon fans, FUN fans, I highly recommend attending this event. 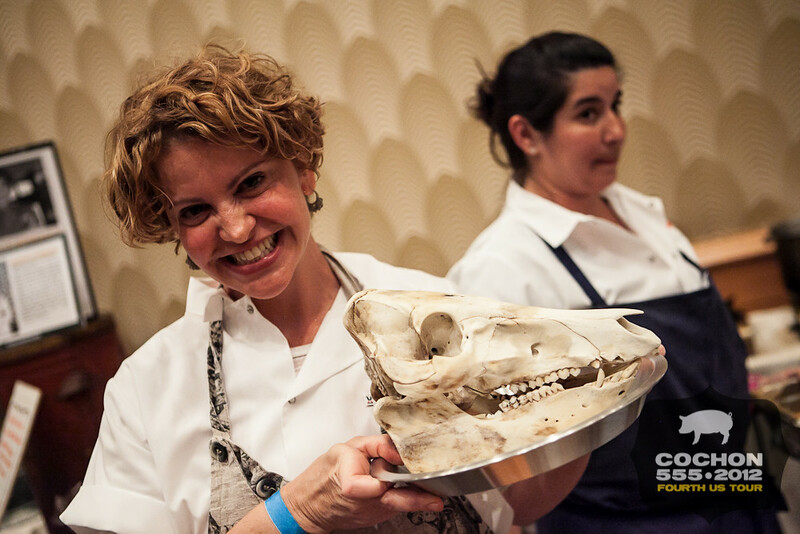 Michelle Bernstein and her team at Michy's won last year and moved on to Grand Cochon in Aspen. It was a close call for me as James Strine, Aaron Brooks and Michael Schwartz all plated some outstanding dishes. This year looks like another tough battle with Aaron Brooks of Edge Steak & Bar, Timon Balloo of Sugarcane Raw Bar & Grill, Jeff McInnis of Yardbird, Cesar Zapata-Diaz of The Federal and David Thomas of The Bazaar. As a Judge I will obviously be completely impartial and go in with an open mind. However, putting my pre-event handicapping hat on, chef Brooks has to be a slight favorite with last years experience under his belt plus he's on his home turf. But I can't wait to see what chef Thomas has up his creative sleeve and I know Timon will come to play. Expected strong showings from McInnis and Zapata will make things real interesting. Also included in the evening is a preview of the new Heritage BBQ event in which chef Conor Hanlon of The Dutch will roll out family meal – an additional whole pig cooked barbecue-style immediately preceding the awards. 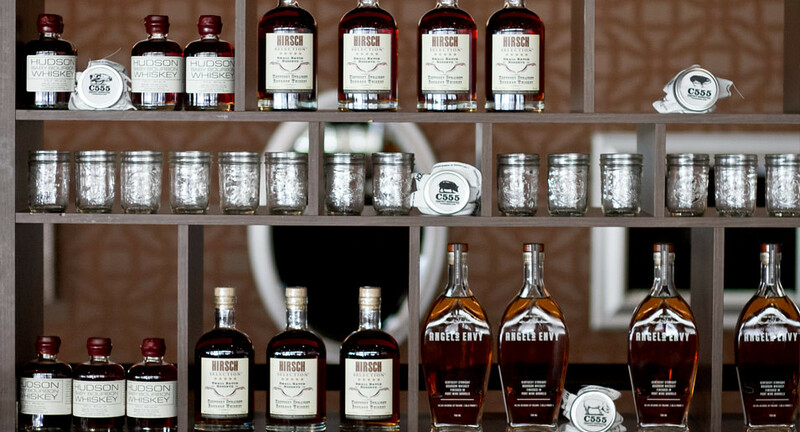 In addition, to celebrate five years of Heritage Breeds, Cochon added five bourbons to the lineup! All attendees will get samples of Breckenridge Bourbon, Eagle Rare, Templeton Rye, High West, Buffalo Trace and Four Roses in addition to the Perfect Manhattan Bar showcasing Luxardo cherries and Eagle Rare. Also new in 2013 is the Chupito/Mezcal Bar, a tasting experience featuring Mezcales de Leyenda, Pierde Almas and Fidencio. The infamous Craft Cheese Bar sees a facelift featuring a local cheesemonger, Cypress Grove Chevre, Vermont Butter & Cheese, Spring Brook Farm with an exclusive tasting of blues from Rogue Creamery, and favorites from Kerrygold. The fun continues when Miyabi/Zwilling USA present a butcher demonstration featuring Sara Bigelow of The Meat Hook and a raffle to benefit the student volunteers, ice-cold brews, Champagne toast, award ceremony, Fernet Branca digestifs, pork-spiked desserts, and of course, the after party will immediately following at Edge Restaurant & Bar with food and drink specials each available for $5.55. Again, I highly recommend attending this event. It's a lot of fun and a great event for the local food community to embrace and enjoy. It's a blast! 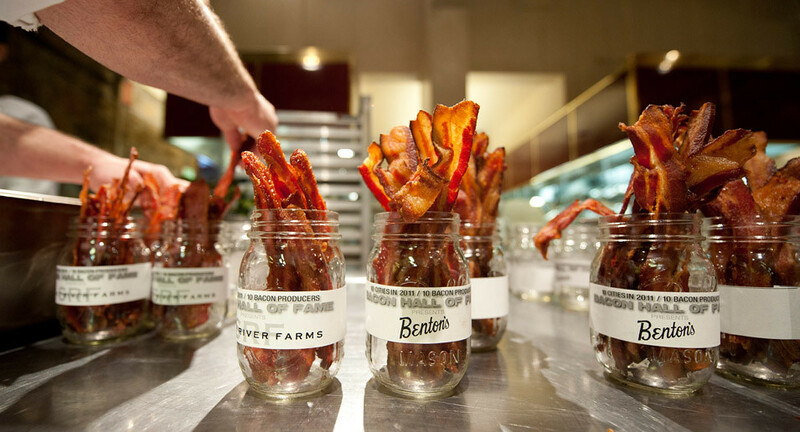 Cochon 555, a one-of-a-kind traveling culinary competition and tasting event created to promote sustainable farming of heritage breed pigs, is touching-down in Miami. The competing chefs Aaron Brooks (Four Season Hotel Miami); Timon Balloo (Sugarcane); Jeffrey McInnis (Yardbird); David Thomas (The Bazaar) and Cesar Zapata (The Federal) are all in contention for the "Prince of Porc" title. Rounding out the night, Miyabi/Zwilling USA present a butcher demonstration featuring Sara Bigelow of The Meat Hook. Tickets start at $125 and include local wines, mezcal and bourbon tastings, pork-spiked desserts and more. New additions to the events in 2013 include the launch of an exciting cocktail competition called "Punch Kings" featuring Breckenridge Bourbon, prepared by  local mixologists, plus the new TarTare Bar round out the exclusive VIP hour. All attendees enjoy butcher demonstrations, sustainable oysters, creative pork dishes from all the chefs, a visit to the Manhattan Bar or new Chupito Bar featuring Mezcals, plus the infamous Cheese Bar saw bold enhancements, ice-cold brew from Anchor Brewing, pork-spiked desserts and as always, the awards and after will close out the evening. Just bought two tickets based on your recommendation. Looking forward to it. Great! You will have a great time and eat some creative pork dishes. See you there..